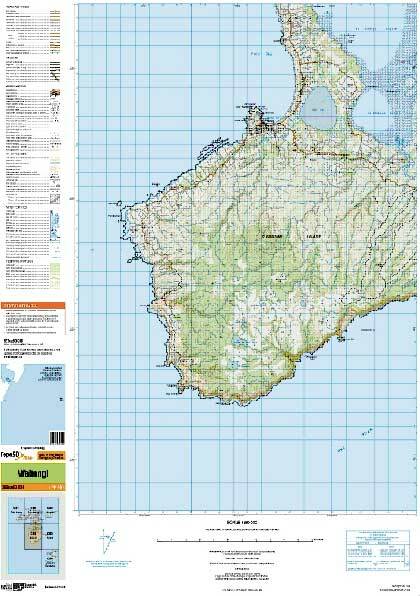 The Topo50 map series provides topographic mapping for the New Zealand mainland and Chatham Islands at 1:50,000 scale. At a scale of 1:50,000, Topo50 maps show geographic features in detail. They are useful for a wide range of activities such as local navigation by vehicle or on foot, locality area planning and study of the environment. Used by a wide variety of groups, Topo50 is the official topographic map series used by New Zealand emergency services. the New Zealand Transverse Mercator 2000 (NZTM2000) projection – this is what enables the curved mathematical surface approximating the Earth to be represented on a flat sheet of paper. 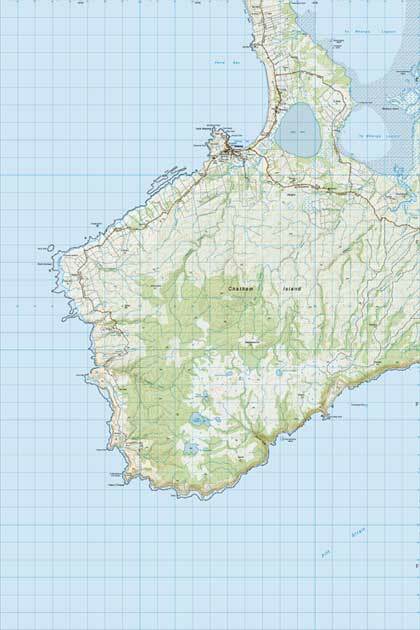 To produce our Topo50 maps of the Chatham Islands we use the Chatham Islands Transverse Mercator 2000 (CITM2000) projection. The sheet index shows you the areas covered by each map sheet, and their name and sheet code so that you can find and download the map you need. Use our search tool to locate your nearest map retailer where you can purchase paper maps. Use our Map Chooser to select and download a map for the area you want at 1:50,000. For bulk digital map orders, please contact us. a GeoTIFF – shows the spatial data area only (without legend or index), with georeferencing that automatically aligns your chosen map with adjacent maps within GIS systems. (You can download the Topo50 map legend (tif 859KB). Learn how to read and navigate from our Topo50 maps using the Topo50 Map Reading Guide. Look for the attachment at the bottom of this page. Our topographic maps and data are an official record of New Zealand’s landscape, and we have a responsibility to show both private and public roads and tracks. This is necessary information for emergency services who may need to use private roads and tracks to gain access to an emergency scene, and is also important for capturing change to our landscape over time. Roads and tracks shown on our maps are not necessarily accessible to the public. This is stated on the maps and in the metadata for the datasets used to produce them. It is not possible to accurately show which roads and tracks are public and which are private. This information can change often, and in some cases ownership or access to a road or track is not clear. "Transverse Mercator; New Zealand Geodetic Datum 2000; GRS80"
View the areas covered by each Topo50 map sheet and their name and sheet code so that you can find and download the map you need. Learn how to convert Topo50 coordinates to other projections. Learn how to coordinate your GPS with Topo50 data. Check our release notes for the latest changes and updates for all LINZ topographic map series and datasets.